Tactical mode makes switching between Turbo, Low and Strobe modes faster and more comfortable. Isn't recommended for long use running in Turbo mode, since it may get hot. Fenix PD35 is a first-rate tactical flashlight boasting a great number of modes to become a life-saver for special forces. 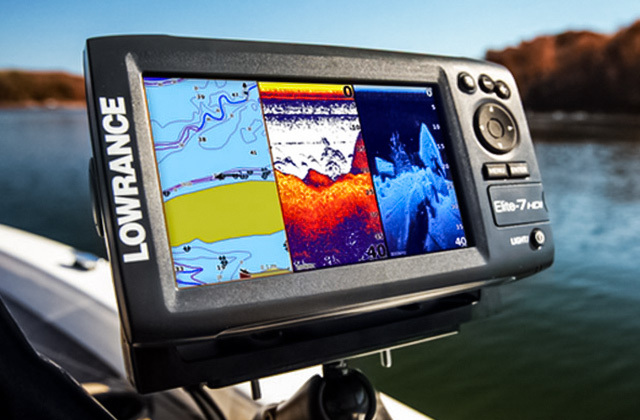 Optimized electronics provide the maximum light output even when the battery is running out. The pocket clip isn't very handy as it might slide up and down a bit. This professional torch will provide a bright penetrating beam throughout its whole battery life. 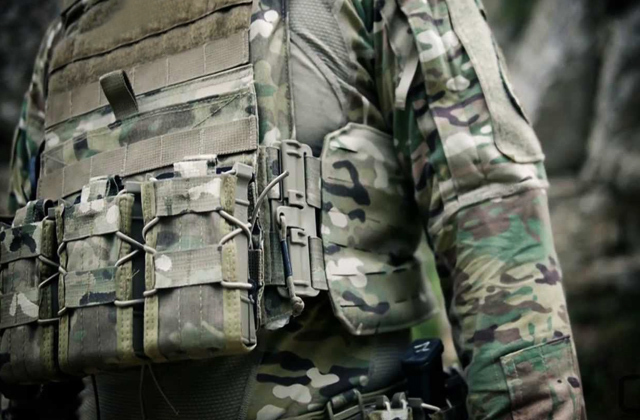 Ideal for all tactical units. The set includes a charger for Lithium Ion battery and AAA battery holder. The battery charger only works from the power supply, it doesn't support USB charging. 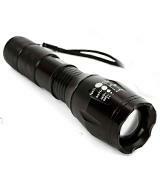 It's an affordable flashlight with exceptional beam distance and brightness level, useful in any emergency situation. 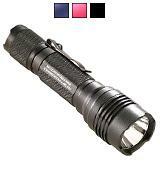 The polymer body is extremely durable and, thus, the flashlight will preserve its original look for a long while. It's not very bright, even running in the High mode. 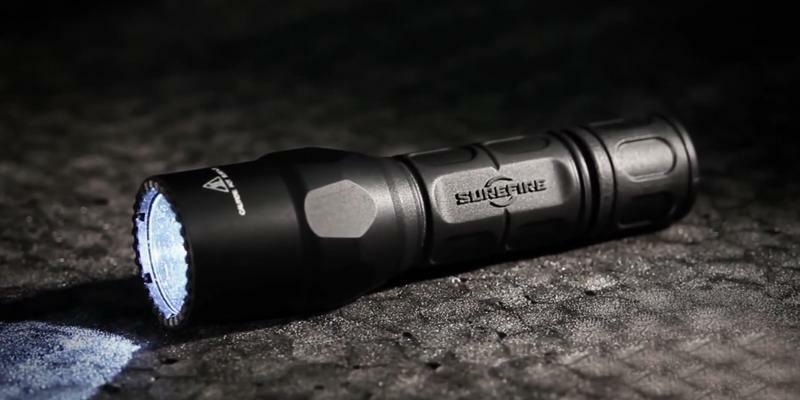 SureFire G2X is a super-durable flashlight that is suitable for mounting on almost any gun. 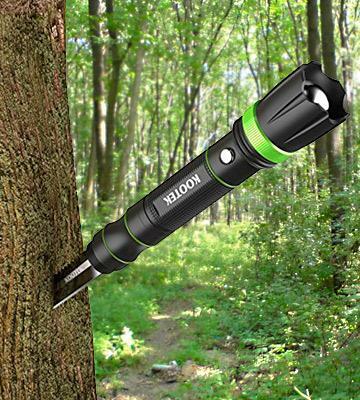 It's the 3-in-1 tool that includes a LED flashlight, a tactical knife, and an attack hammer. The flashlight is rather long when assembled with a knife. 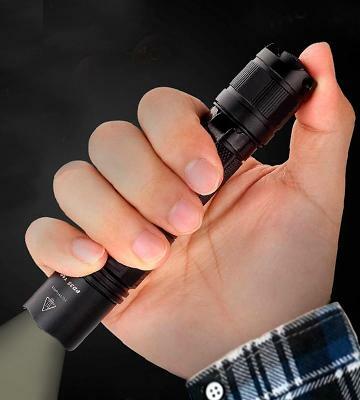 This multifunctional torch is the best choice for true hunters and tourists, plus it's an excellent tool for self-defense. 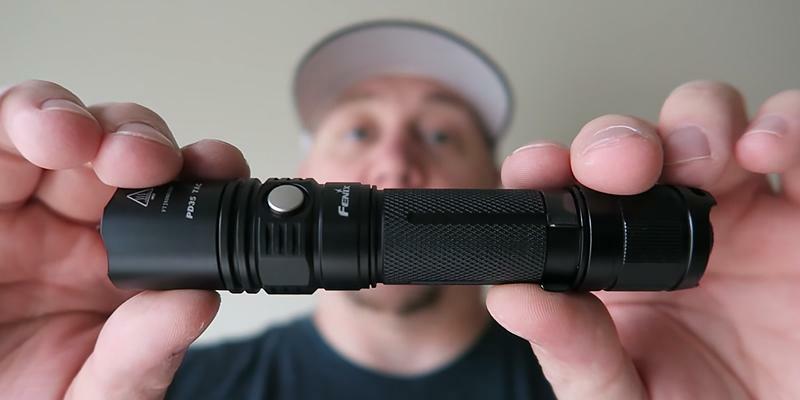 At the pocket size like this, the EdisonBright Fenix PD35 TAC tactical flashlight features exceptional functionality and great performance to allow its application in many spheres besides regular use. The aluminum housing of the flashlight demonstrates incredible resistance to shock and can be submerged in the water due to its IPX-8 rating and closed design with no ports vulnerable to the moisture. The glass lens with anti-reflective coating is also toughened to withstand shocks and damage. 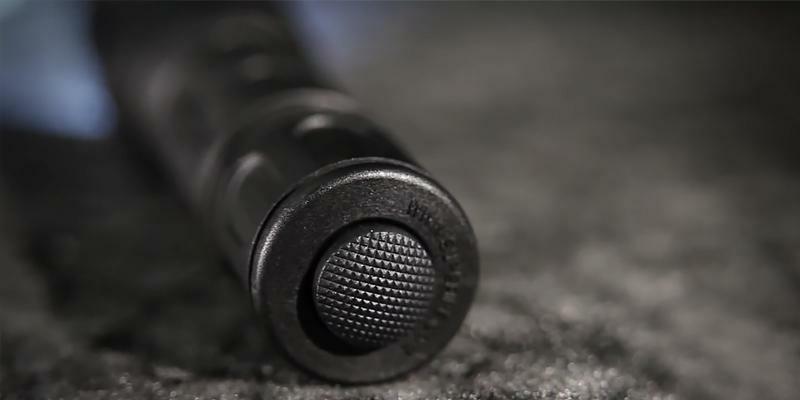 The exterior coating of the flashlight won't get scratched and will look like new in a long while thanks to the hard-anodized anti-abrasive finish. Comparing with many other flashlights present on the market this one provides the widest range of lighting modes and beam lights. The maximum light output here is 1000 lumens, which allows illuminating the area within 656-foot distance. The EdisonBright Fenix PD35 TAC tactical flashlight works off a rechargeable battery and can inform users when it runs out of power by flashing red. No chance you'll ever get yourself into a trouble for its battery being dead. 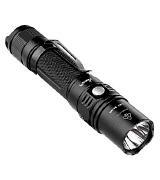 Fenix PD35 TAC is a new generation of tactical flashlights that has received an additional tactical lightning mode. 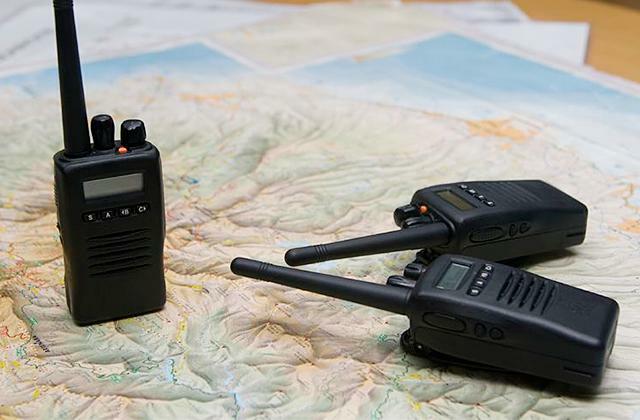 Hence, this device can operate in both regular (outdoor) and tactical modes. 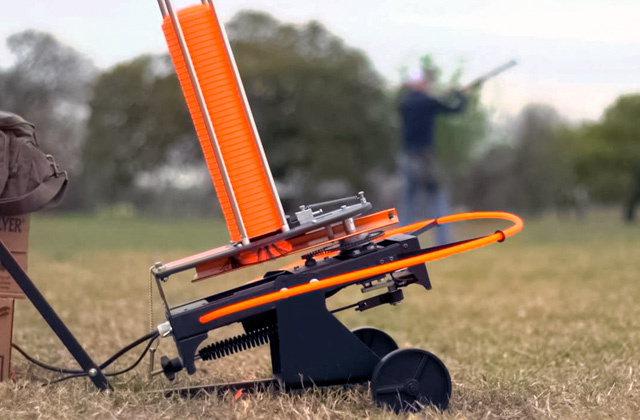 By switching to an outdoor mode, you'll be able to choose between five modes (Turbo, High, Medium, Low, Eco) and a Strobe mode that can blind your offender. The tactical mode activates on pressing the side button for 3 seconds and when it's on, you can choose between Turbo, Strobe, and Low, depending on the conditions and what purpose you need it for. The location of the switch button is very convenient especially seeing the fact you may need to attach this flashlight to a gun sometimes. 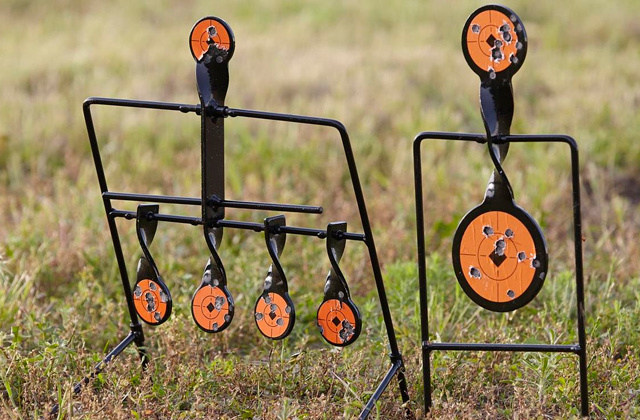 To improve the accuracy of shooting and acquire targets faster, get a red dot sight. The Streamlight 88040 tactical flashlight at slightly inferior tech specs to the Edison unit can still compete with most models of tactical flashlights on the market. 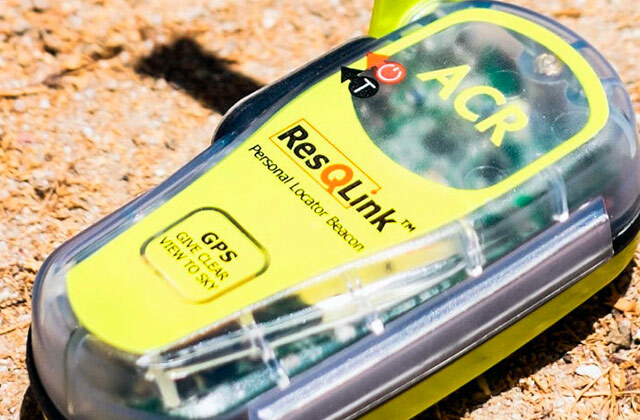 Enclosed in a durable, high-quality grade aluminum body and with IPX7 waterproof protection rate, it can withstand drops to the ground and submergence in water up to 1 meter for 30 minutes easily. Speaking of light characteristics, it can direct the light across the impressive 900 feet with 750-lumen light output only and be used in a strobe mode too, to disorient an enemy on a street by blinding him with the light. Running in the highest mode, the flashlight can work for up to 1.25 hours, which is quite enough for a short patrol. If you think you might need to use the flashlight longer than that, we'd recommend you to keep spare batteries at hand to allow its operation in emergency situations. The Streamlight 88040 tactical flashlight will surely come to liking to consumers who need a compact size flashlight with excellent lighting characteristics for self-defense and household use. The performance of the flashlight is great and there's no chance you'll regret your choice. How to use a flashlight in an emergency situation? If you ever happen to face an armed robber in the complete darkness, there are certain things you can do with a tactical flashlight. Make sure not to use it in a constant mode for in this mode you can become an easy target. What you need to do is to turn the flashlight on (at the maximum brightness preferably), look around to scan the location, then turn the light off and quickly move to a different point. Your enemy is likely to attack the place where the light has been last seen, giving you a chance to not only determine his location but also to avoid a hit. Such maneuver is very effective if you don't have the opportunity to react to the blow immediately. Do you need 100% hands-free lighting? If so, get a headlamp that will come in useful in different situations. If you need a cheap but decent tactical flashlight for occasional use, why not consider the PeakPlus that despite a low price has got a lot of advantages to offer? 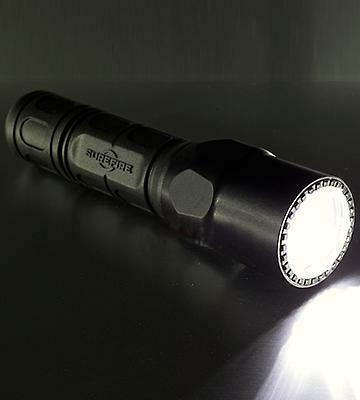 Similarly to expensive peers, it features an all-aluminum body that can effectively withstand shocks and abrasion and demonstrates seamless operation and performance under various conditions The flashlight supports 5 lighting modes: Full Brightness, Medium Brightness, Low Brightness, Strobe Brightness and SOS and can be adjusted with a switch of a soft-touch tail cap. The maximum light output is also impressive here, making 1000 lumens, and not a fracture worse to the models at twice the price. The handy feature of the PeakPlus flashlight is that it supports the Strobe mode allowing users to use it for self-defense too when being in the dark on a street. 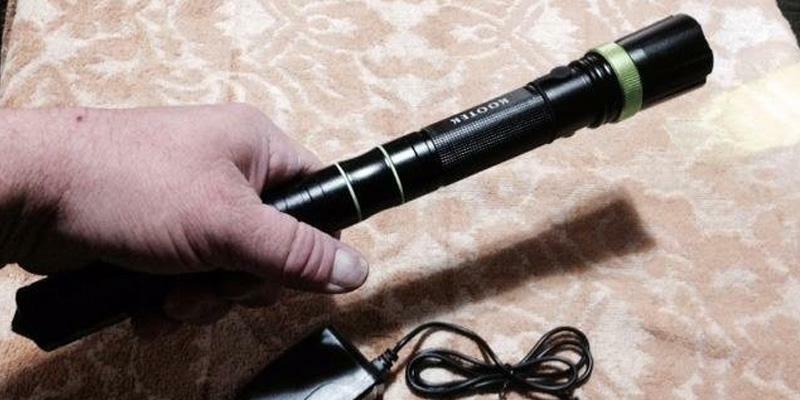 Yet, the feature we find more peculiar about this flashlight is its adjustable focus range, with the head being extendable from 5.3 up to 6.1 inches for changing the beam shape and the distance. In the maximum zoom, the torch this small can easily reach the objects up to 1,640 feet forth. Well, what is a strobe mode (a stroboscopic effect) and in what way can it dumbfound people? A strobe mode is a simple illusion of an apparent motion (or its absence) that appears only when the object is seen at intervals, not continuously. Likewise, brief exposure to high-intensity light levels can cause the same "after image" effect. This stroboscopic effect varies according to the light level, duration and frequency of the exposure. The disorientation appears since the specific light frequencies cause the brain to glue all the images in one, and since the frequency of exposures varies the brain just can't respond adequately. And since the accumulated images disorient a brain, your enemy won't be able to concentrate and make a shot. To be able to monitor your property remotely, get a reliable security camera and keep your place protected from thieves. The SureFire G2X tactical flashlight is commonly taken as a quality standard and reliability. The housing of the flashlight is made of a combination of Nitrolon polymer and Mil-Spec hard anodized bezel both known for durability and abrasion resistance properties and therefore, it's not easy to get it scratched or break no matter under which conditions you'll use it. 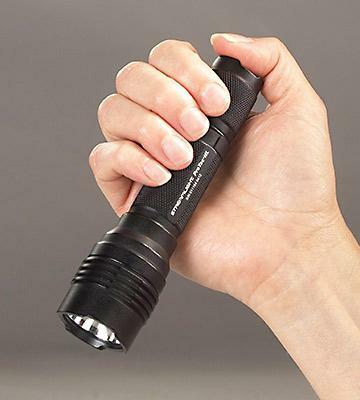 The size of the flashlight is quite compact, making 5.2 inches in length and 1.25 inches in diameter, and hence, can be attached to any weapon easily when needed. 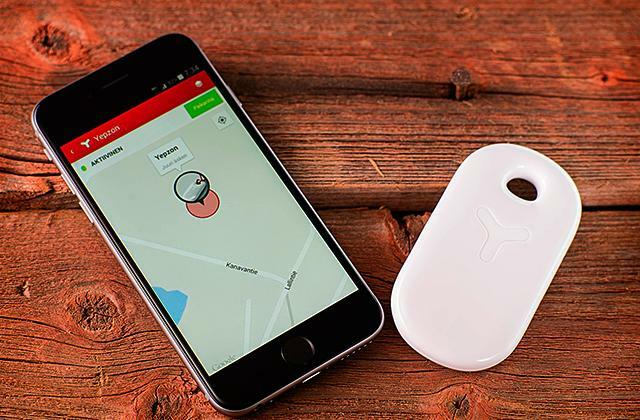 The location of the switch at the rear is also handy and allows users to change the mode quickly and in a convenient way. The maximum light output isn't spectacular, though, and makes only 320 lumens, yet, for most situations, this should be more than enough. 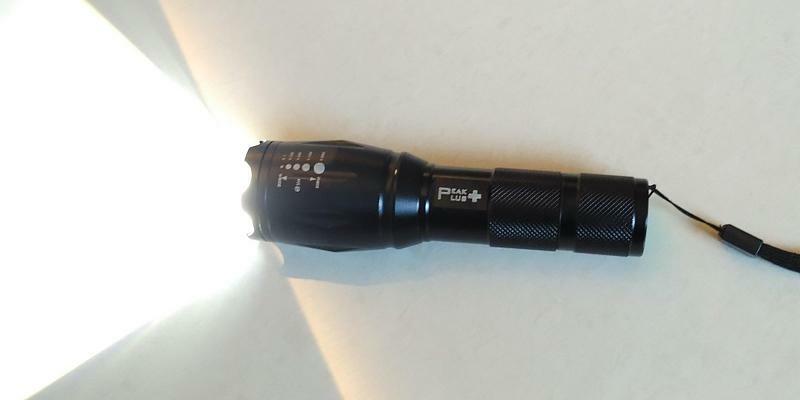 The strong point of this flashlight is its operating time that totals whole 2.75 hours on a single charge, which is the double time of many more expensive models. With all that said, the SureFire G2X tactical flashlight can become a great buy for many people who need a simple but solid product delivering worthwhile performance and functionality. The flashlight is available in 6 colors, including desert tan and forest colors, so you can choose the one that suits your outfit and purpose better. IP Protection. What is It? As we all know, any tactical flashlight should be well-protected, but only a few of us know what actually all these IP levels mean. So, we would like to shed some light on all those fancy markings. The IP rating usually has two or three numbers indicating protection from solid objects, protection from liquids, and protection from impacts. Suchwise, the IPX standard can give us a clearer picture of how water resistant a particular flashlight is. IPX0 - a flashlight isn't water resistant at all, yet has maximum dust protection. IPX1 - vertically falling drops can't affect the operation of a flashlight. 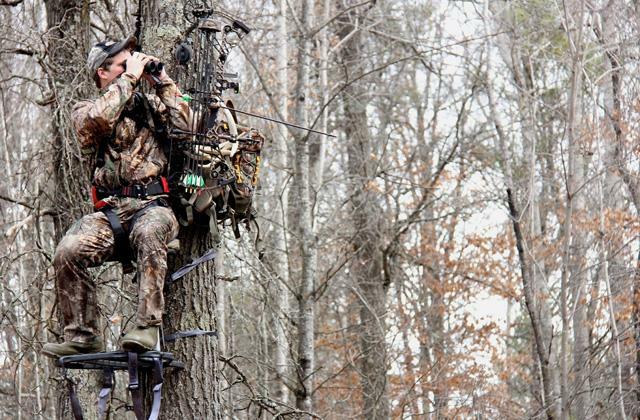 IPX2 - vertically falling drops can't harm the device, even if it's tilted up to 15 degrees. 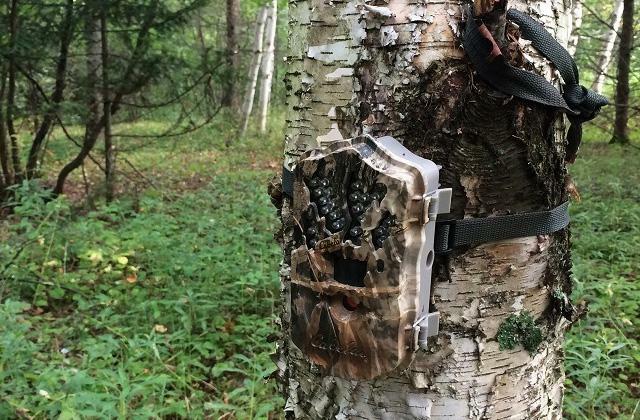 IPX3 - the device is protected from a spraying water at any angle up to 60 degrees. IPX4 - a flashlight can withstand water splashing from any direction. IPX5 - offers protection from water jets at any direction. IPX6 – ensures protection from powerful water jets. IPX7 - Ta-da! The waterproof level at which a flashlight can be immersed up to 3 feet. IPX8 - The maximum protection from dust and water penetration. A flashlight will still work even if you accidentally drop it in water over 3 feet. If you're going on a night tactical operation, get a night vision device allowing you to see the objects in absolute darkness. 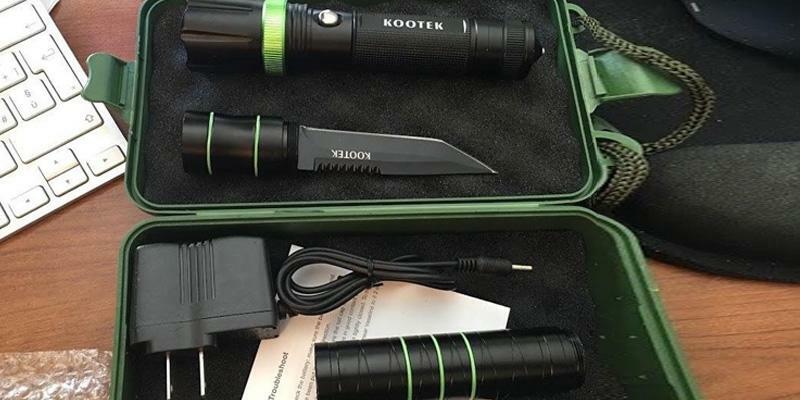 The Kootek K1 tactical flashlight is not only a source of bright light but also a great tool for self-defense. The given flashlight combines the functionality of two more devices and can be used as an attack hammer and a knife. In an emergency situation, for example, you could use it as a baton and be sure that it would not only disorient your attacker for some time but also won't break apart due to its reinforced stainless steel design. When used as an attack hammer, the pocket-size flashlight like it can easily break glass too, like, for example, if you needed to get yourself out of a car on a desert street with no people around, etc. 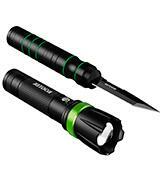 And while being on a picnic or camping, the use of a flashlight as a knife would help tackle a lot of routine tasks. Designed to be of an ergonomic shape, the flashlight itself is enclosed in a rubber housing that allows users a comfortable, non-skid grip. The lighting modes it supports are high low and strobe and the maximum output makes 8000 lumens. The flashlight has an adjustable focus (zoom in for a spotlight, zoom out for a floodlight) to generate the light of the needed intensity. At first sight, the Kootek K1 tactical flashlight doesn't look any different from many other models but it does have an ace up its sleeve and if you seek a functional device to use for more purposes but lighting, this one will be a great fit. The recent invention by Daniel Riley strikes with its performance and catches an eye of everyone who drops a glance on it. 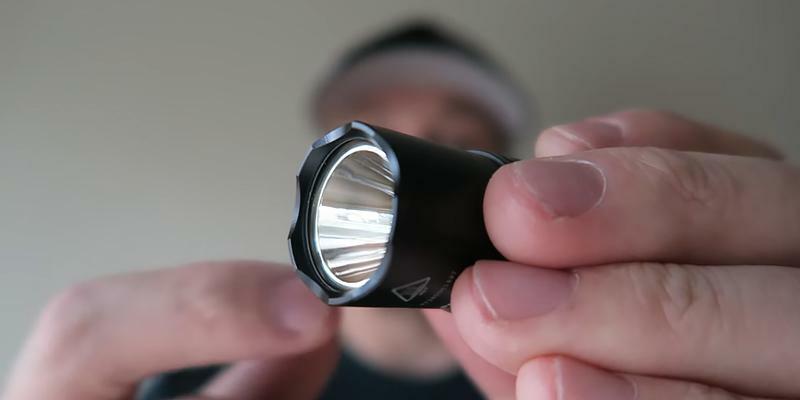 Having strung 10 powerful 100W LEDs in one unit, his new flashlight can deliver outstanding 90,000 lumens, which is just a little bit inferior to the brightness of the sun that varies between 30,000 to 100,000 lumens. This is the first and the only flashlight as of today that can be described as bright and as the sun without exaggeration. Each LED on the flashlight has its own glass lens that produces the beam. Incredible! The drawback of the model that requires improvement is that it runs off two regular batteries and they, unfortunately, don't last longer than 10 minutes. 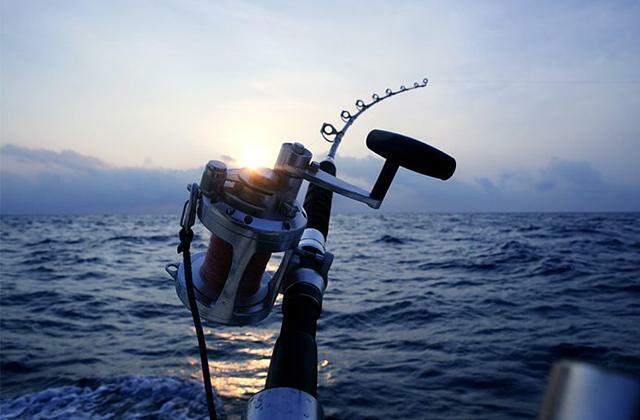 If you are an inveterate fisherman, you might be interested in our fishing rods review. One of the most useful tools you could carry in your pocket is a flashlight since it can illuminate dark environments. However, a regular flashlight is good, but a tactical is better. Tactical flashlights are usually made of anodized aluminum, thus, are impact-resistant and can be used even as striking tools for self-defence. 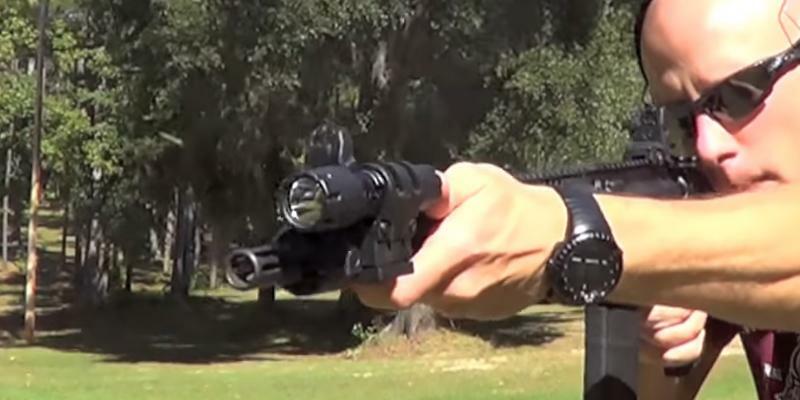 Plus, tactical flashlights can be attached to different pistols or guns to illuminate your target. 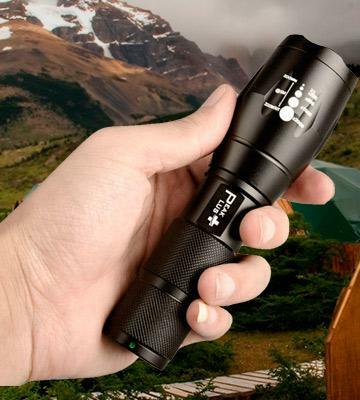 Such flashlights are typically smaller than traditional ones, though, emit much more light. Of course, tactical torches are designed primarily for military and police units, but they can also come in handy for other purposes. So, actually who needs such a military-grade flashlight? Firemen, hunters, police officers, security stuff, survivalists, as well as just hikers, nature explorers, fishermen and average citizens! 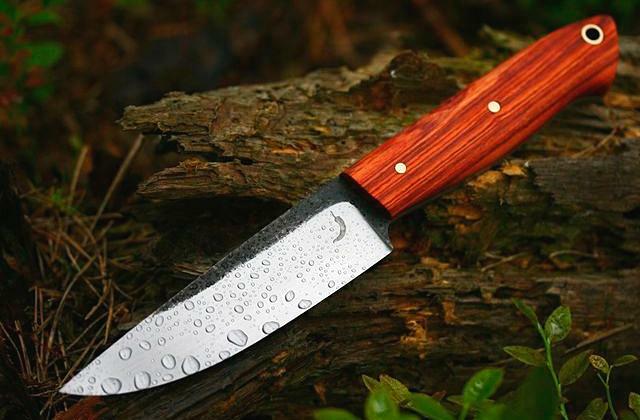 If you are a hunter, then you might also be interested in one of the best hunting knives. First and foremost, any tactical flashlight should be sturdy and light, so it is very important to pay attention to its construction and the materials it is made of. Manufacturers use completely different materials like steel, aluminum, titanium, and plastic, yet the aircraft grade aluminum is one of the most durable ones. Consider the size of a flashlight since if you decide to mount it on a gun, it shouldn't be too heavy or too big for it. Pay attention to the water resistance rating to be able to use the light under any conditions. Light output affects the brightness and, consequently, the more lumens the flashlight has, the more intense beam it produces. For example, 200-300 lumens will be the best option for rescue operations, and 30-40 lumens will be enough for optimal illumination around you. Don't forget about the beam distance that shows how far the light will penetrate, and depending on the goals you are pursuing, choose a proper tactical flashlight. 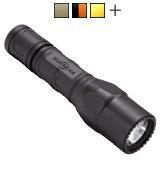 Today, almost all tactical torches boast different brightness modes for diverse conditions. Strobe mode, for example, will enable you to disorient your offender with a bright flashing light directed in his eyes. 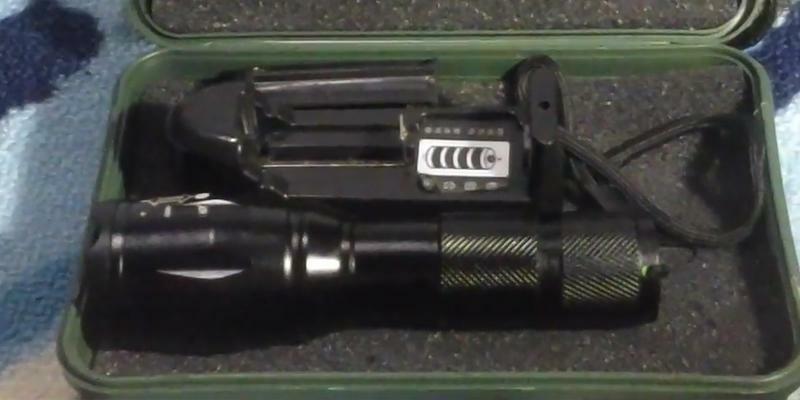 Tactical flashlights can be powered by rechargeable batteries or replaceable AAA batteries, and both these types have their advantages and disadvantages. A rechargeable battery holds the charge pretty long and can save your replacement costs. The downside is, you'd still need to have it recharged at some point and doing it without access to the grid won't be possible. The replaceable batteries, on the contrary, don't require charging at all but may get drained when least expected, which is not handy, if you're not used to keeping a spare set at hand. 1. 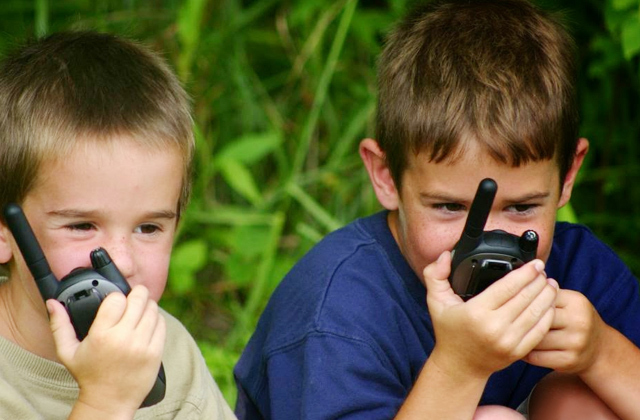 Brett & Kate McKay How to Use a Flashlight in a Tactical Situation, The Art Of Manliness. November 7, 2012. 2. 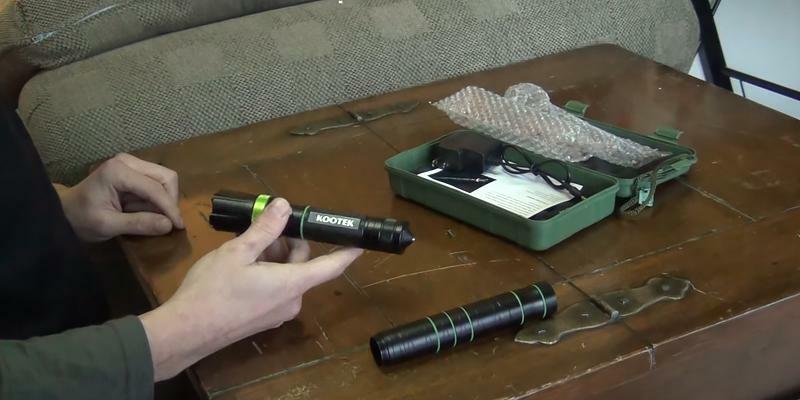 Pat Henry Why You Should Carry and Know How to Use a Tactical Flashlight, The Prepper Journal. July 1, 2013. 3. 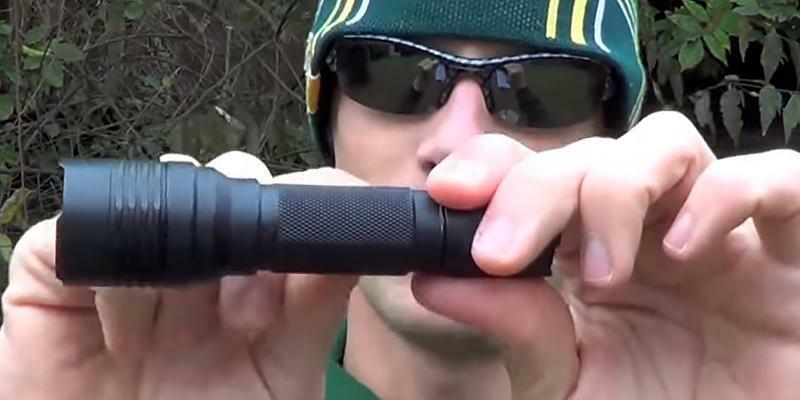 Jim Barrett Bright Ideas: Choosing a Tactical Flashlight, The Truth About Guns. October 18, 2012. 4. Tactical light, Wikipedia. September 23, 2016. 5. Flashlights: How to Choose, REI. 6. Chris Woodford Strobe lights, ExplainThatStuff. October 7, 2016. 7. IP - Ingress Protection Rating, Engineering ToolBox.